Contemporary & high quality villa in the centre of the village & next to the sandy beaches, with a large sunny garden, a heated pool and view of the church spire. 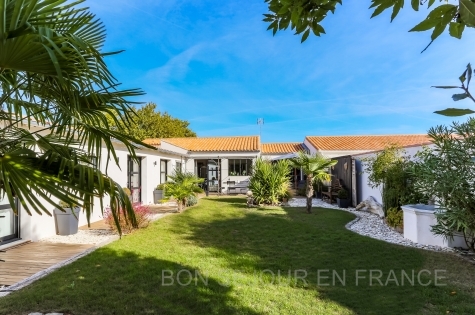 In a leafy setting, located 100 metres from the most beautiful beach of the Le Bois-Plage, this holiday home with heated swimming pool will surprise you with its space and its peaceful atmosphere. Located between the centre of the village and the sandy beaches, enjoy this exclusive villa with a zen design & a sunny 2000 m² garden with heated pool. 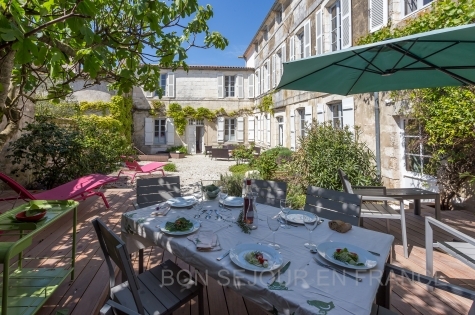 A very exceptional property on the Ile de Re in one of the best area of the Ile de Re. 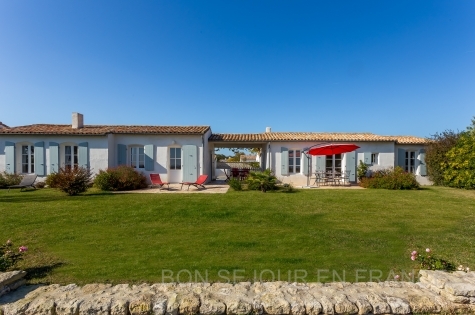 A family house with 5 bedrooms in a preserved area, close to the most beautiful beaches of the Ile de Ré. Perfect for tranquillity enthusiasts and golf players. Nestled behind the sand dune, this beautiful modern villa surrounded by a landscaped garden will seduce you by its size, comfort and contemporary style. Close to the beach and shops. 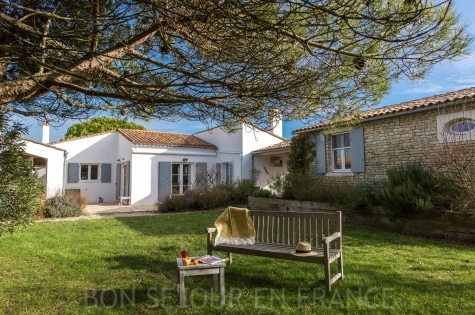 Bon Séjour en France - Ile de Re specializes in Ile de Ré accommodation. 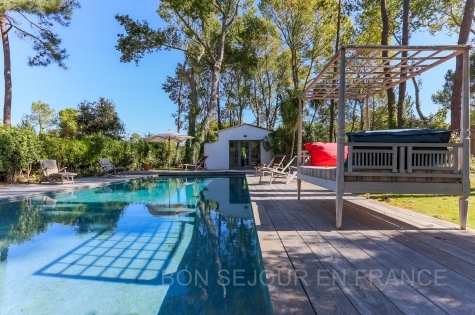 You are looking for Ile de Ré villa? 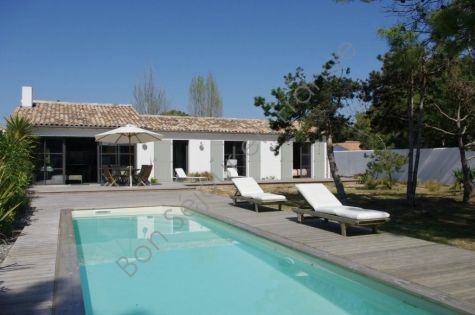 We offer a very wide range of quality Ile de Ré accommodation, character-filled properties, charming gites and villas with swimming pool. 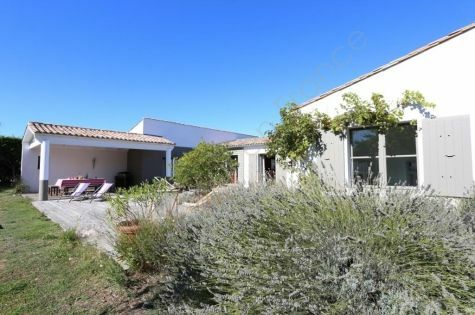 Consult our selection of Ile de Ré accommodation and take a look at all our properties and villas which you can situate by clicking on the « View on map » button. 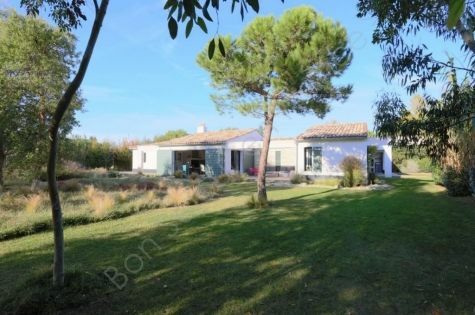 This allows you to locate the exact position of your holiday rental in one of the 10 beautiful villages of the Ile de Ré, namely Rivedoux, Sainte-Marie and La Noue, La Flotte, Saint-Martin, Bois-Plage, La Couarde, Ars-en-Ré, Loix, Saint-Clément des Baleines and Les Portes en Ré. 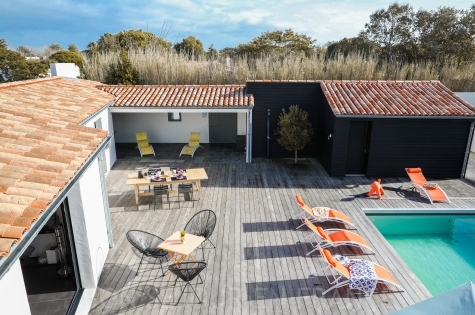 We have rated our Ile de Ré accommodation from 1 to 5 for comfort & location criteria. This allows you to know if Ile de Re accommodation you have selected is close to your criteria.